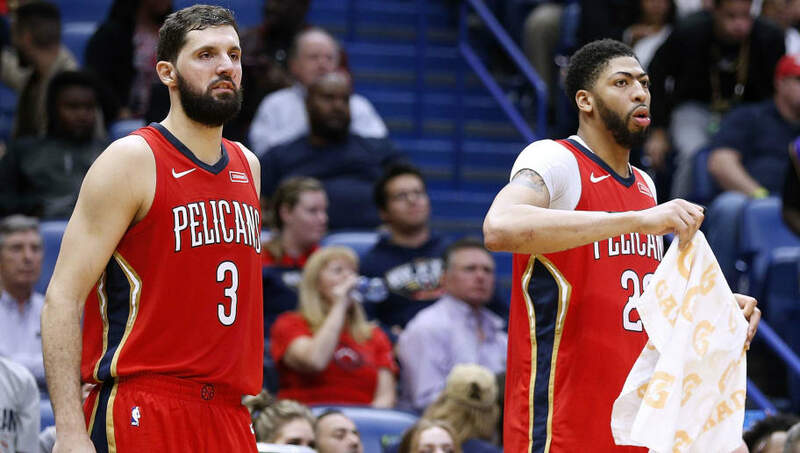 ​The NBA trade deadline has officially come and gone, and there was a flurry of movement around the league, with multiple last-minute deals going through as teams look ahead to the second half of the season. Here are the winners and losers after the crazy last 36 hours. The ​Raptors made a huge splash at the deadline, ​acquiring Marc Gasol from the ​Grizzlies. Gasol can step in to a 30-minute per night role and be the star big man that the franchise never had with Jonas Valanciunas, who was conveniently shipped to Memphis in the deal. The Raptors improved massively at the deadline with the addition of the 34-year-old who can help in all facets of the game. The 76ers not only acquired Tobias Harris, but they also added Jonathon Simmons to the mix while ​parting ways with Markelle Fultz and the distraction that surrounded the young point guard. The 76ers' had an excellent trade deadline as they added key pieces that can help them contend immediately. The Process is all coming together. The ​Bucks' deal to bring aboard sharpshooting big man Nikola Mirotic will go down as one of the best deals of the deadline. While the team sacrificed four second-round picks to acquire Mirotic, as well as Jason Smith and Stanley Johnson​ (who had been acquired just 24 hours earlier), the team got a valuable asset in exchange for pieces that were likely not part of their future plans, making it an exceptional deal for Milwaukee. The ​Warriors had a quiet trade deadline, but the movement from other teams was beneficial for them. They are already extremely likely to make the NBA Finals, and now the Eastern Conference got a lot more competitive as well. The competition in the East may force longer playoff series' between teams in that conference, which would give the Warriors' a boost as they will likely be playing on more rest as their eventual opponent will be significantly beaten up by the time they reach the final series of the season. Jazz didn't make any moves at the deadline as the Grizzlies opted to hold on to their veteran point guard. Rather than make a deal, Utah's players, namely Ricky Rubio, merely became aware that they were expendable and the team didn't improve.​ Not a good situation for Utah.